A typical value for a scoped bolt action rifle is a sight height 1.5 inches with an offset of 20 MOA"
The sight height is measured from the center of the bore to the center of sightline. 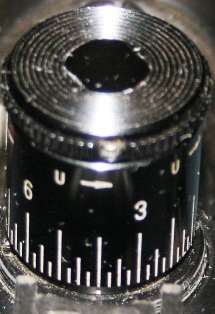 For a scope the sightline is the center of the objective (front) lens. For a iron sighted firearm, such as an AR-15, it should be measured from the centerline of the bore to the top of the front sight. The offset can be a difficult concept. This is particularily true of you have experience with long range precision shooting and use a different means of adjusting your sights to compensate for different environmental conditions. This program uses a method that is much simpler but diffent than is usually taught. The easist way to determine the sight angle offset for your firearm is to use Modern Ballistics to calculate it. The alternative is to temporarily set this value to zero and take some careful shots with well known, no wind, conditions at the furthest distance you can comfortably make the shot. Knowing the exact muzzle velocity for each shot is desireable as well. Adjust your sighting system to give you a zero at this range and read the scope setting in MOA. Input the muzzle velocity, the enviromental conditions, and target information to this program and see what "Elevation Sight Angle" is suggested for the Ballistic Solution. If you are shooting from a range of 200 yards this might be something like 5.00 MOA. If your scope indicates 25.00 MOA then your Sight Angle Offset is 20.00 MOA (25.00 - 5.00).